How successful your day is can depend on how it is organised. Failing to plan can see you focussing on unproductive or not so important tasks. 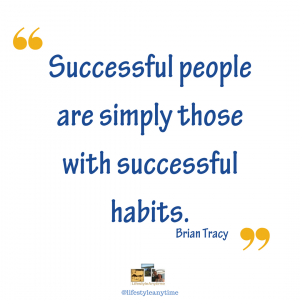 However, it is possible to set yourself up for success and organise your day to be productive. Many people shy away from planning and scheduling or say that you can’t plan everything and yes this is true. There are many days where the day does not go to plan due to unexpected changes. 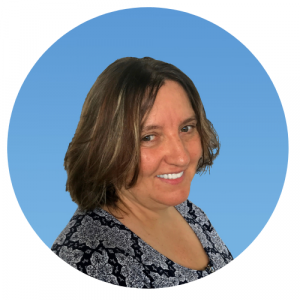 Being a mum, wife, sister, friend, employee, business owner, shift worker, I have experienced many days where the schedule and to do list needed to change. Only last week I had planned to shoot a video for my website when I got a phone call to say a client was in the hospital and could I sit with them for seven hours. When I left the hospital the natural light was no longer good enough to shoot a video and it was almost the family mealtime. A time of day I seldom miss. 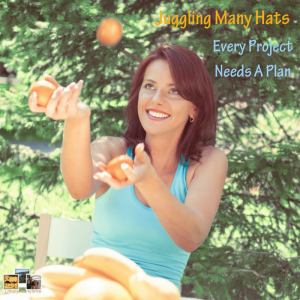 Juggling many hats! Plan to succeed by organising your day. If you wear many hats, that is, have many areas in your life organising your day needs to be segmented into time slots to focus on the one thing that is important during that time. When at work focus on work. When with your family focus on your family. It goes without saying that where the focus goes, energy flows. To be successful at the task at hand, be present. Whether your focus is a few hours on your own business, a goal that you have or a work project, these four steps may help you progress and organise the day, the project or goal for success. How to organise your day for success in four steps. Before you go to bed, plan your next day. Write down two to four activities that you plan to accomplish the next day. Base your activities on your life wheel. 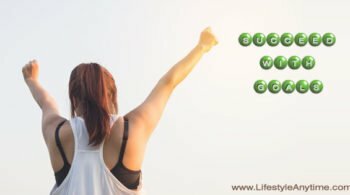 This may be a plan for your health, a plan for your business, an errand for the family, a task for your personal development. Naturally, if it is a work project you are working on then plan your next day before you leave work. A few minutes at the end of each day to set up your next day for success goes a long way. To plan the night before may also include laying out gym clothes for an early morning work out or putting in the items you need for work in your bag. Also preparing your lunch to take to work is another way to plan ahead. In the morning take the time to visualise your day. With visualisation, you can picture your day and become more creative, more focused and work with great clarity. Visualisation can take place with a 10 minute focus meditation or visualization. 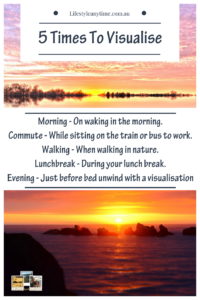 There are multiple benefits to a visualisation which is why visualisation should be part of your daily routine. I like to start my morning with S.A.V.E.R.S. Savers are positive ways to start the day, something I learnt from reading the book ‘The Mircale Morning’ by Hal Elrod. Schedule weekly, however, the to do list requries to be reviewed daily due to the daily tasks that step out the required actions. Once a week take the time to organise your week in a planner. There are many different online planners, asana and trello are just two of them. Your daily actions can also be added to an online diary or handwritten diary. Whichever, way you choose to schedule your task check you can view and review your list. When you schedule your tasks in a planner you effectively brain dump all your ideas and then can schedule them out as tasks. Every project can be broken into smaller tasks with a task being added to your daily schedule. By planning and scheduling, you have a roadmap to take you where you would like to go. I highly recommend scheduling your weekly tasks in a planner. In fact I often brain dump all my ideas into trello. This way I have noted my ideas down and cleared them out of my mind. By doing this I am freeing up my mind to be creative and focused on the task at hand. The ideas I’ve noted I will schedule and action during my weekly planning session. Eat that frog, this means to take action in order of importance. Each day as Brain Tracy says ‘eat that frog’. Focus your energy on the biggest and most important activities first. There will always be a long list of to do things, however, successful people don‘t try to do everything, they focus on the most important tasks and by doing so are more productive. When you organise your day for success with the four steps outlined above you start to take control of your time. The main thing is to remember you can’t do everything in one day but you can accomplish your goals by breaking them down into bite size pieces and tackling them one step at a time. I have found that I am most successful and productive on the days I have planned and organised. 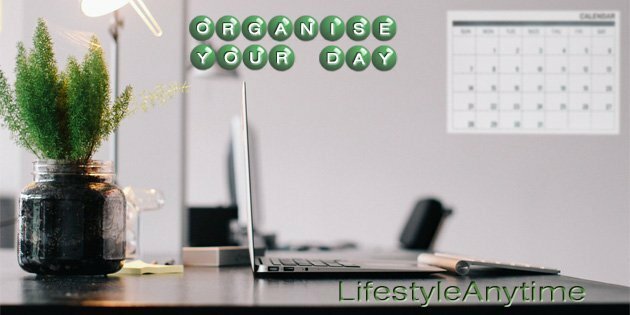 I’d love to hear how do you organise your day? Please leave me a note in the comments. 1 Response to "Plan to succeed. How to organise your day for success in four steps."